Torque wrenches are a precision tool and should be serviced and calibrated regularly to maintain effectiveness and consistent accuracy. As with most common tasks, in order to achieve the best results, you need to start with a good quality product. Warren & Brown Tools (WBT) have a wide variety of tried and tested torque wrenches that meet or exceed Australian standards, ranging from deflecting the beam, micrometer, dial type, torque- angle, detachable head, to an electronic/digital readout. And while starting with good quality is important, it is also imperative that you properly look after your torque wrench. Regular servicing and calibration of your torque wrench is the best way to ensure reliable operation, accuracy, and longevity of the tool. Putting in place a preventative maintenance schedule for verifying and calibrating your torque wrench optimises tool performance and reduces the risk of products failing in service. 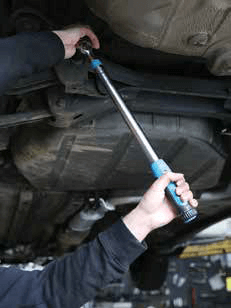 Regular torque re-calibration ensures the wrench is operating at peak performance and can highlight potential problems due to tool wear or broken components before they arise. Torque wrenches should be serviced and re-calibrated every 5,000 cycles or once a year, whichever comes first. Another indicator that re-calibration is necessary is when a visual inspection shows old or dried grease or parts that display signs of excessive wear, loose or unstable components. More frequent calibration will be required if the wrench is used daily, has been dropped or used in harsh conditions (hot or cold). 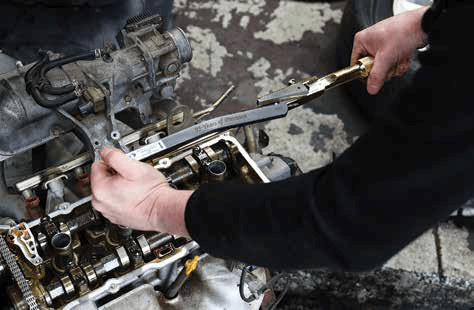 Different types of torque wrenches have varied methods of required servicing, so it’s important to familiarise yourself with the conditions of your specific type of torque wrench. The ratchet of a wrench should be regularly inspected for wear, cleaned, lubricated and verified that ratchet screws are tight and that the ratchet spins freely when turned. Micrometer adjustable type torque wrenches are built with a compressed spring inside, which due to the force being repeatedly applied, they require more regular re-calibration. Leaving a calibrated wrench at one setting can impact the spring linearity, affecting the accuracy when used at other settings. After use, all torque wrenches should be backed off and stored at the lowest torque setting. And all torque wrenches should never be used in excess of its capacity. For those wanting to take a DIY approach, calibration can be performed by the user; however, due to the precision nature of torque wrenches it is recommended that they are calibrated by a professional to ensure operational accuracy. Calibration is conducted under strict conditions to ensure that any variation or deviation from the recommended measurement is identified and corrected as needed. Protect your wrench from dirt, dust, moisture and other substances by keeping it in a clean and dry place, such as a protective case or other storage devices. Always clean your torque wrench after use by wiping the outside with a dry cloth and never immerse in liquid. By adhering to a few simple rules and a little bit of care, good quality torque wrenches will not give any problems and your job will be completed without any come back due to incorrect torque control. Contact your local Warren & Brown Tools Distributor.